Only 2-5% of people are truly tone deaf. However, it seems that Deborah Aquila, casting director of “La La Land,” believes in equal opportunity. 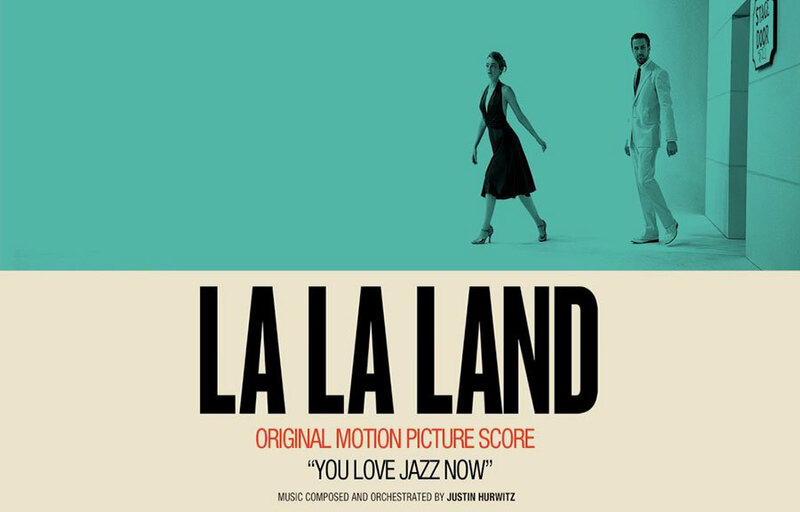 This modern faux-jazz nightmare follows Sebastian (Ryan Gosling), a struggling jazz pianist who could get a job if he wasn’t such an elitist, and Mia (Emma Stone), a struggling actress who can’t get a job because she’s too good for casting directors to put her in their commercials. The movie opens with LA commuters “dancing” on top of their cars in the middle of a traffic jam. Of course, the dance looks like it was run through one time, with actors forgetting the steps and looking lost. After that train wreck comes to a close, the audience gets a wonderful scene of Sebastian and Mia flipping each other off–a metaphor for their pseudo-romance that becomes filled with insecurity, self-hatred, and complacency. The film, although it has its charming camera angles and an occasional catchy tune (such as Mia and Sebastian’s Theme), fails in its goal of exposing the American public to jazz. The music is pseudo-jazz at its best and shaky musical numbers at its worst. Anyone who has listened to even the lightest of jazz, such as Elvis or Frank Sinatra, will be able to recognize the many flaws in this movie. The instrumental piece put aside, Gosling and Stone are not singers talented enough to take on the shallow range that “La La Land” requires. The directors must’ve been in la la land to cast two mediocre singers amongst the sea of talent that almost spills out of Los Angeles. Musical complaints put aside, Damien Chazelle, award-winning writer/director of this atrocity, proved that he doesn’t believe in the mantra of hard work in this movie because he cast his sister in one of the limited speaking parts. Anna Chazelle was mysteriously cast in the movie as a casting director with only 7 previous acting credits, including a web documentary and a short from 2014. The blatant nepotism doesn’t bring any credit to the movie that cast two known, attractive leads to bring in the audience. Overall, “La La Land” is for those who aren’t filled in on how Hollywood works. It is a fun movie for those who are looking to escape from the real world, but if you’re looking for a film that has musical credit or a decent storyline, stay home and watch “Grease” or “The Sound of Music.” You’ll save eleven dollars at the theater, and those movies cast individuals who were talented in their field of music. I guess the Oscar announcers were stuck in La La Land. La-La-Land tells the story of an aspiring musician and actress in a jazz-themed Hollywood. The early to mid-20th century is considered the prime of original musical movies in Hollywood. Bing Crosby and Judy Garland graced the big screen with their voices for years, but as the years went on, the movie scene shifted away from big musical numbers and dance breaks. “La La Land” was director Damien Chazelle’s project to bring the wonder of musicals back into the mainstream with a few modern twists to break the classic musical construct. Viewers then see Sebastian (Ryan Gosling), a talented pianist trying to revive jazz at its roots, using his middle finger to flip off Mia (Emma Stone), an aspiring actress from Nevada who is holding up traffic on her way to her side job as a barista. Mia and Sebastian continue to find each other throughout Los Angeles and their lives spiral into a torrent of success, failure, love, and passion in both personal relationships and their careers. “La La Land” has something for everyone: Ryan Gosling’s underappreciated baritone voice and impressive piano playing combined with Emma Stone’s pure and beautiful voice drive the soundtrack of the movie forward, while their famed acting skills root the movie in a sense of reality. Chazelle’s use of standard musical practices while still keeping the story fresh satisfy those who love the musical classics and those looking for a fresh and exciting plot. Los Angeles’ real-world feel combined with surreal feeling cinematography and the nostalgia of the musicals from the 1920s elevate “La La Land” above the typical historical or action movies crowding theaters. “La La Land” is sure to be the perfect movie for anyone looking for an interesting story, catchy tunes, and a beautiful looking film.